I therefore conclude that my right foot is totally injured! Yes, I tripped somewhere down the road -- and this was just yesterday after attending my niece's graduation. But this latest issue of TURISTA Magazine has certainly made my crippled day WORTH SMILING about! Please get a FREE copy at any of the NAIA Terminals and check-out my Pagudpud Feature. Ü Rubel and I are on print again.. Hooray for BUDGET BIYAHERA! Woohoo!! UPDATED: As much as I would like for you to read the online version, Turista Magazine's link no longer exists. it is a great privilege to be published and featured in a magazine, congratulations! Another travel feature idol Mai. I hope to visit Pagudpud soon. Luckily I'm Batanes bound next month. I will get a copy Mai. Ibang level ka na talaga. You get to travel, and get yourself featured in a mag.. amazing! Kim bf seems right about Pagudpud. hehehe. I never been to Pagudpud but it looks nice to venture. Congrats by the way. Congrats Mai! Road to stardom na ate :). Pagudpud is a great place to see here at our country! Congrats at your magazine feature ate. It might be your road to online stardom :). I am quite sure you and your blog will get more attention now from foreign visitors :). Congrats again! Wow, Pagudpud is really seems like a very nice place to explore and have my own adventure. Nice also to see your featured in a travel magazine. It's really cool! Congrats Budget Byahera! 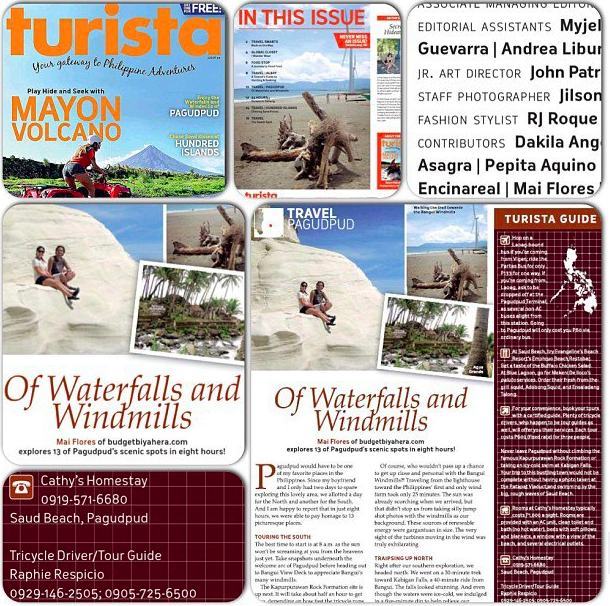 Your feature about Pagudpud in Turista magazine will surely bring tourists not only to Pagudpud but to other destinations in our country. 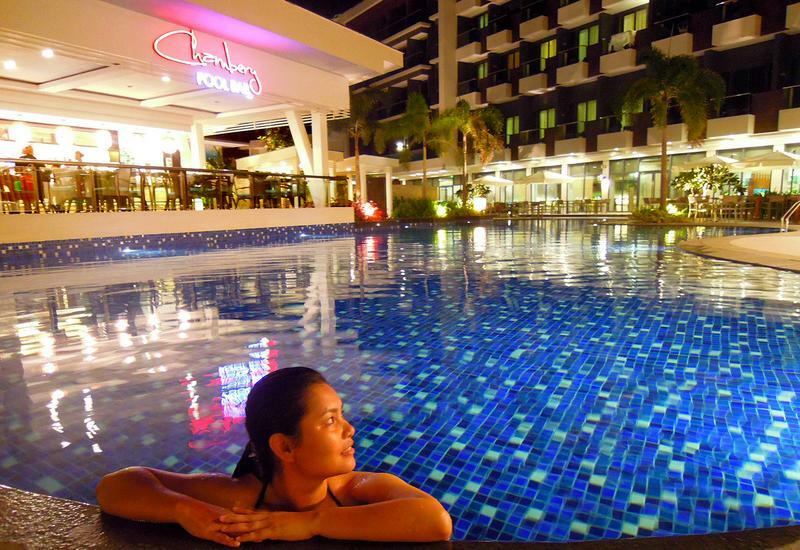 If my cousin wins the vice-mayoralty post in Laoag...this will be the next place I go to. congrats mai to your budget biyahera... i know that such honor can make all the pain go away... but still hope you're well now. Yahweh bless. Hahahaha.. skimpy swimsuit talaga noh? Thank you Sarah. :) Pagudpud is definitely a nice place to explore and more! This place is a PARADISE and I'm sure your stay in PAGUDPUD is one of your most memorable and worthwhile getaway. Well, I know every time you're together is something to be remembered always and this edition of TURISTA MAGAZINE is one document to keep. You both deserve to be on print.